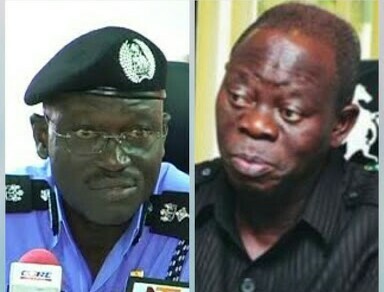 Suleiman Abba, the former Inspector General of Police, has rained curses on the leadership of the All Progressives Congress (APC) led by Adams Oshiomole. He took the action after he was screened out of contesting for the Jigawa Central Senatorial District seat on the party's platform. Although he did not expressly say so, Abba is believed to be referring to Adams Oshiomhole, National Chairman of the party, since he continually made reference to "one person in the headquarters of APC". Abba, who stormed the national secretariat of the party to register his displeasure after he was delisted from participating in the conduct of the primary election in the state, addressed journalists in Abuja on Monday. He said: "You are all aware that a list was released where I was duly cleared and another list was released delisting my name. This is not time for too much talk; this is time for prayers and I want you to join me in this prayer. "The prayer is this: 'Almighty God, any person copying you and your power should not be in the headqaurters of this APC. Almighty God, if there is already one, you know what to do so that you don't allow him continue copying you. Almighty God, any person claiming to be an officer of the APC, if he will not work with the vision and mission of the APC, Almighty God, don't allow him to use the demon style of destroying."